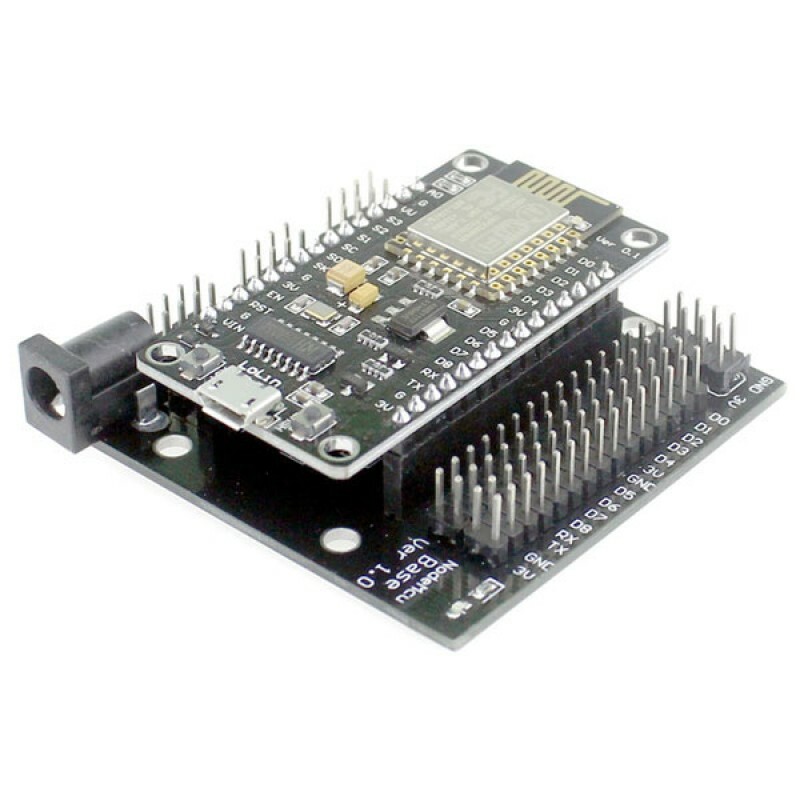 Development board for use with ESP8266 Node MCU modules. Compatible with the ESP8266 NodeMCU v3 modules. 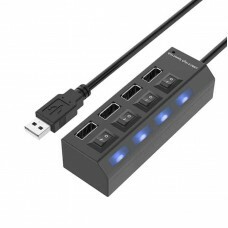 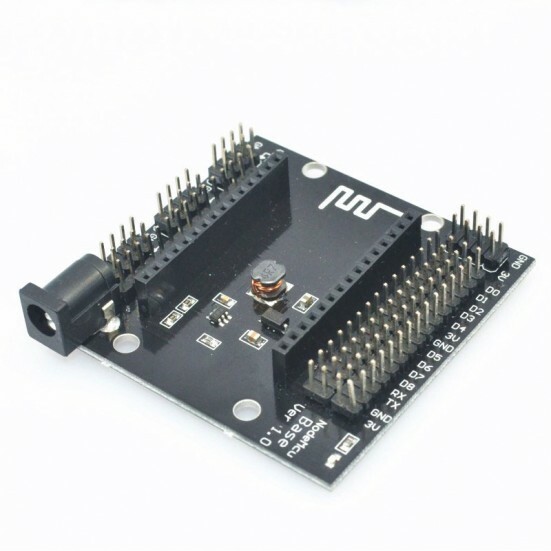 Contains a separate power input through a 2.1mm jack with onboard power regulation (6-24v DC). 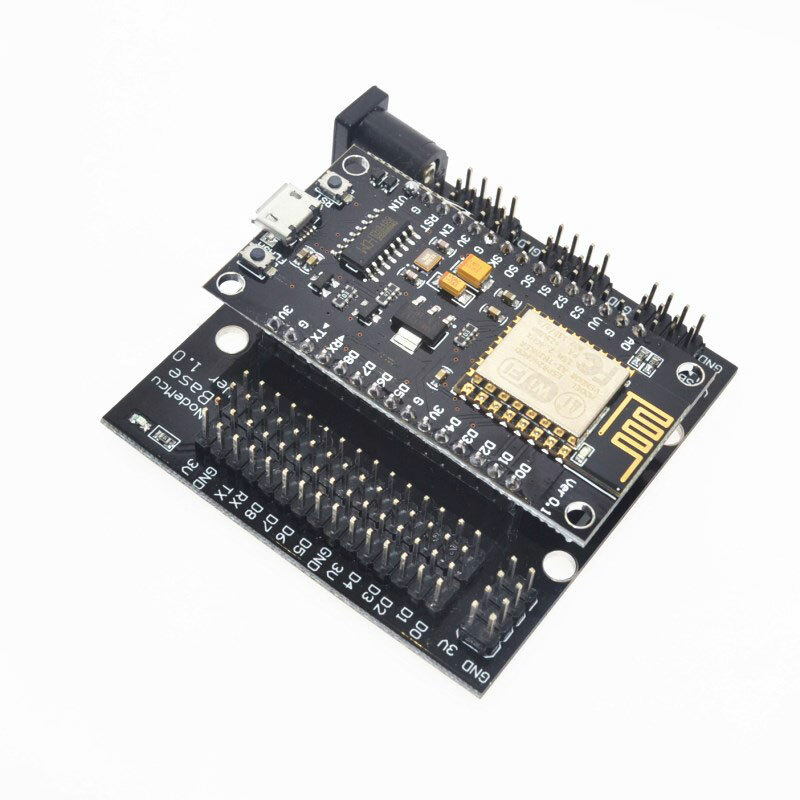 Designed for processor boards with 28mm pin spacing between pin rows for compatible modules such as the LOLIN NodeMCU. 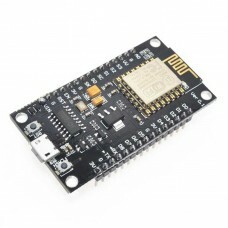 Devices with 23mm spacing, such as the DOIT modules are not compatible with this development module. 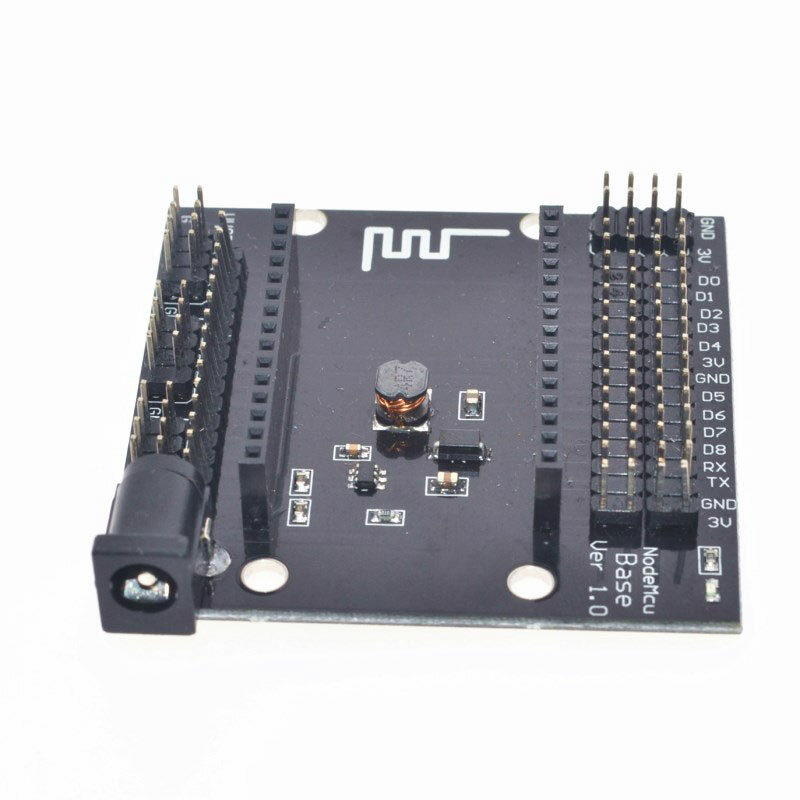 Please Note: This item is only the base development board and does not include the separate processor module. 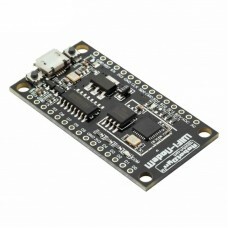 See NodeMCU LUA module.